How well do I know my Swahili language now that I have it as one of the languages that I speak fluently? 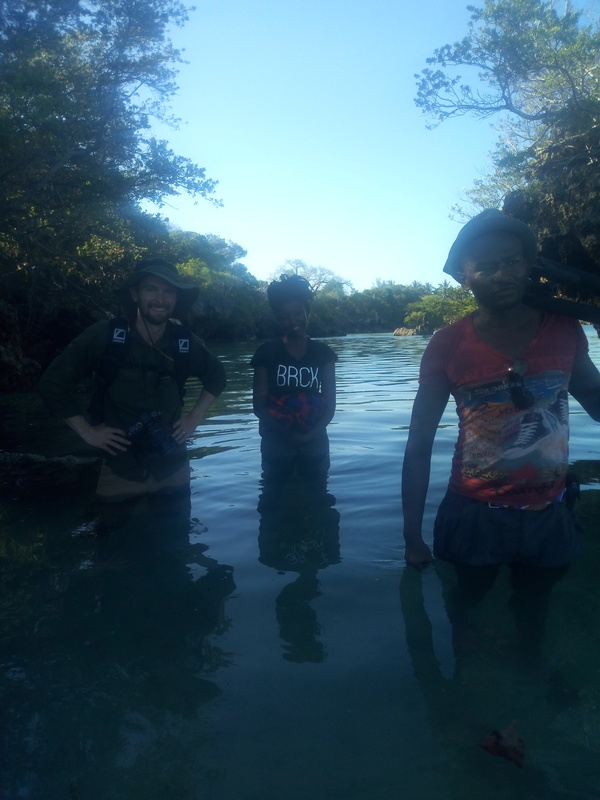 Pemba expedition has helped me put this on the litmus paper and today’s challenge is purchasing Sim cards for PicoBRCK and SupaBRCK which are to be deployed at Kokota Eco Primary School in Kokota Island and the Zanzibar Weather station. We seek the help of a local young man to purchase the cards and later came time to load bundles and learn the necessary USSD codes to navigate through the network. He starts giving “Nyota mia moja na sita reli kusajirisha nambari yako kwenye mtandao” I stare at him having only heard the monetary figures, of course, I can’t afford to miss out the monetary figures given my accounting background. I request that he repeats the instructions and I understand that he means (*106# to register my new number to the mobile network) I giggle and accept the challenge. 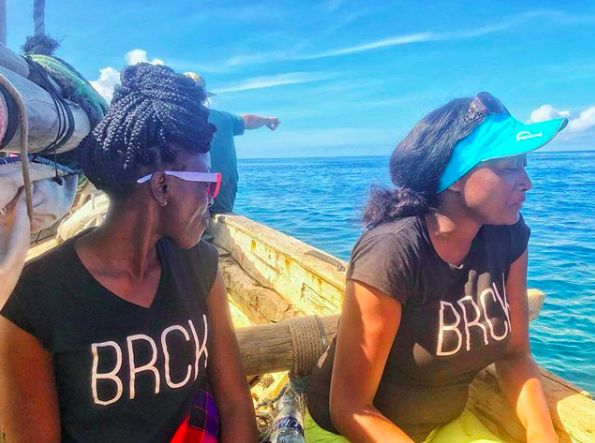 Before he leaves for the day we ensure that we are all set to have the data bundles loaded and that our mission for what brought the BRCK team here is accomplished to provide reach to content and internet to islands of Pemba that I never knew existed before this expedition. The boat would take us 4 hours and another 45 minutes of waiting for a smaller boat to deliver the Kio Kit to the middle of the sea which now becomes our “parking bay”. The boat ride and the sceneries are amazing and the whole day you forget that dry land ever existed as the sea becomes your new home. The crew is extremely jovial singing and humming all the way to Kokota Island. We soon arrive at Kokota Eco Primary school where Elizabeth and Mark get to train the teachers on how to use the Kio-kit. 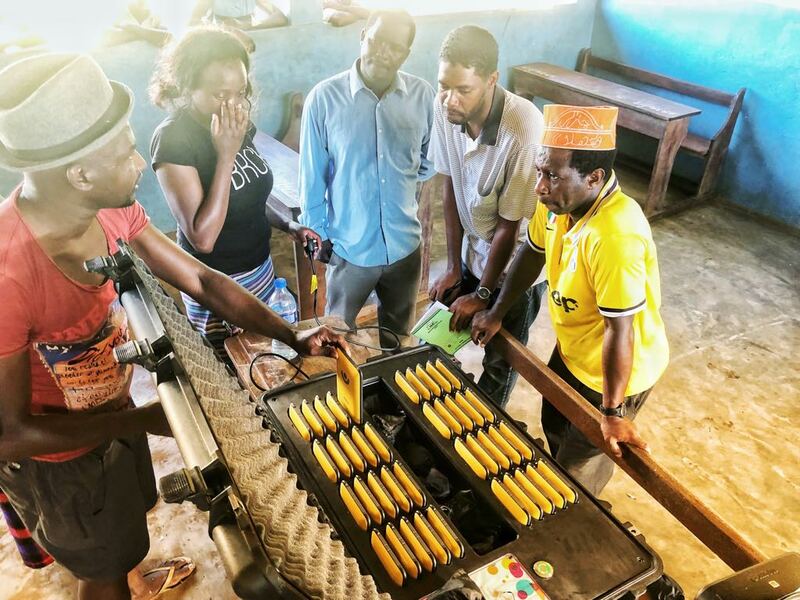 The teachers are extremely enthusiastic and amazed at the difference this brings to their school and from the look on their faces they can’t wait to teach the students with the Kio Kit. An hour after the teachers training they get to use the skills learnt to teach the students with the Kio Kit and broadcast the lesson. Broadcast is a feature installed on the Kio Kit to ensure that all the students attending a lesson are on the same page with the teacher and not busy exploring other features. Surprisingly they understand how to use the Kio Kit so quickly and are all motivated and looking forward to using the Kio Kit on a daily basis. They each get a printed photo to take home and remember this heavenly transition for the rest of their lives in their small island of Kokota. After a successful day, it’s time to get back to our camp and we have to walk a stretch to catch the boat with water up to our waist and our backpacks on our shoulders. The expedition is real for sure. We enjoy the sunset and the birds fishing and we land back to our camp at 7.30 pm eager to see what tomorrow has in store for us.